The synagogue was established in 1929 as one of the first Liberal congregations in the UK. Its first president was the Honourable Lily H Montagu, one of the founders of Liberal Judaism. Two years earlier, Samuel Morris Rich and several of his friends discovered a potential nucleus for a congregation in South London and so set about gathering people together. 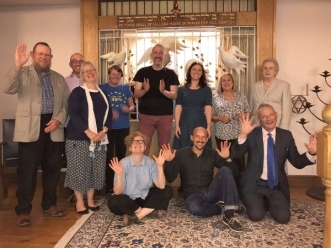 A discussion group was formed so that members would understand the ideas and principles of Liberal Judaism. The congregation moved to its present home in Prentis Road (formerly a girls’ school) in 1938. It appointed its first full time minister, Rabbi John Rayner in 1953. Before then, services had been conducted by a number of capable lay leaders. SLLS has had nine ministers since then, perhaps most well known being Rabbi Julia Neuberger, minister from 1977-1989. Nathan was brought up in London and had a career as a teacher before entering Leo Baeck College. He is a member of Mosaic Liberal Synagogue and sang in the members’ choir at the Liberal Jewish Synagogue. 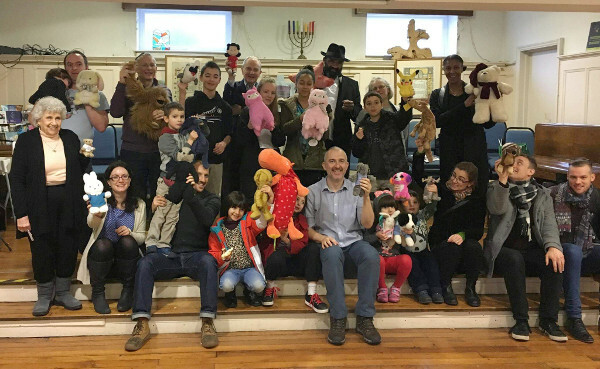 For the last two years of his rabbinic studies Nathan served South London Liberal Synagogue where he continues in his first rabbinic appointment.